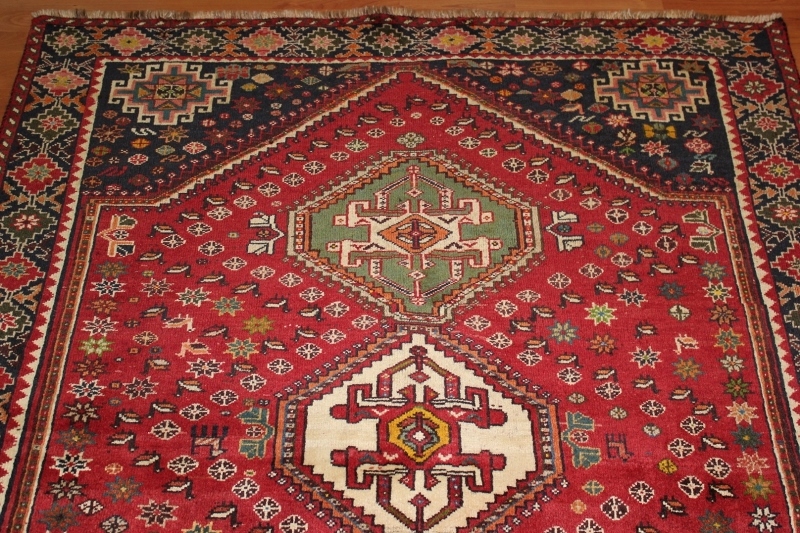 Persian Qashgai Rugs are hand knotted tribal rugs, hand woven by the Qashgai people of the Fars area in South West Iran. 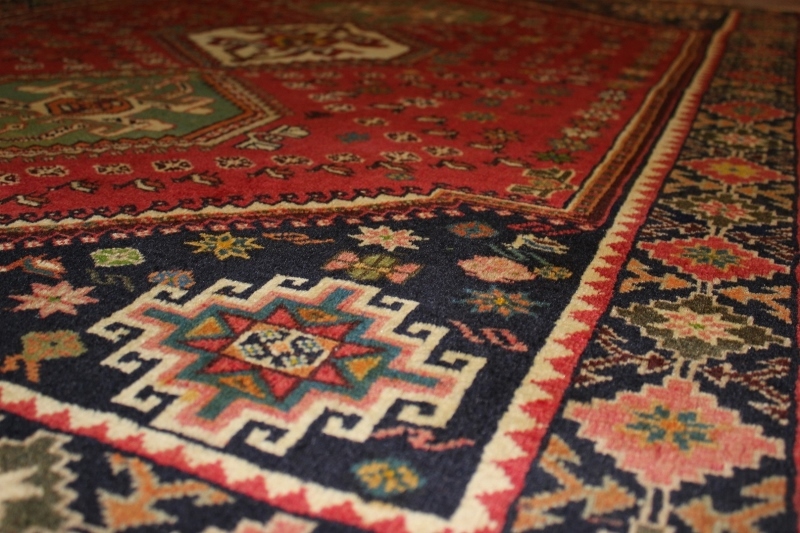 The rugs they produce are woven in hand spun wool onto a wool warp and weft (foundation of the rug) using natural dyes. They are predominantly a rich palette of colours, mainly a red ground, with dark blues, rich creams and golds. They are rich in design too, often depicting stylized animals, birds and flowers. 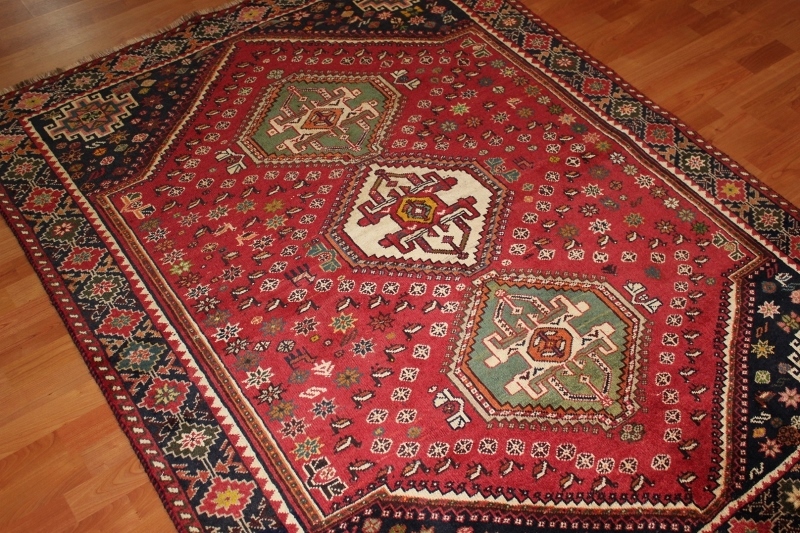 Some of the Qashgai rugs have a central medalion whilst many have a row of medalions running down the centre of the rug.